Managing a theme park sounds exciting, right? Sure, it'd be tough, but it could be the opportunity of a lifetime! 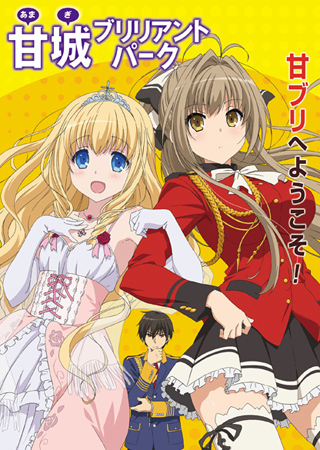 Seiya Kanie meets Isuzu Sento, a girl who invites him to take over the management of failing theme park Amagi Brilliant Park, in a last-ditch attempt to rejuvenate it. 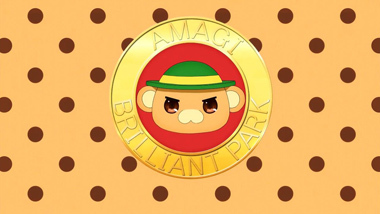 However, Kanie quickly discovers something: the park mascots are real, and this place is more than a little bit magic. 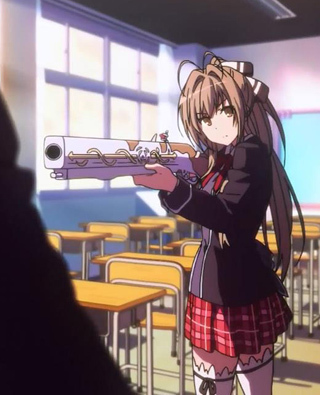 Actually, we may have said "invite" up there, but in actuality Sento is quite forceful, using her magic rifle to coerce Kanie into taking up the management job. 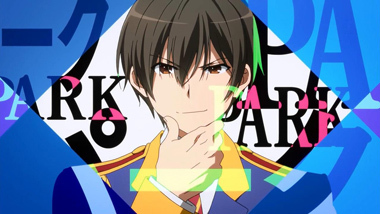 It's not easy though, as Kanie, while an intelligent and sharp fellow, is also exceedingly narcissistic and prideful. He regards many people as beneath him, resulting in him not being very popular despite his good looks. Frankly, he's a bit of a jerk, but it makes him much more interesting than your typical protagonist. 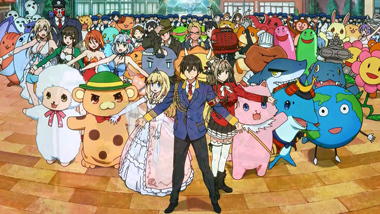 Sento introduces him to Latifah, the princess of Maple Land and owner of the park, as well as Moffle, the leading mascot. He's Latifah's uncle, and yes, if you're wondering why he looks familiar: he is visually identical to Full Metal Panic? 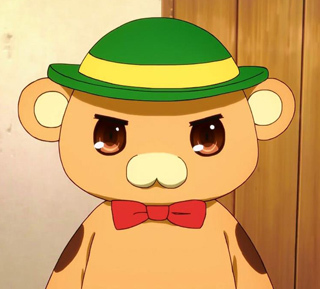 Fumoffu's Bonta. 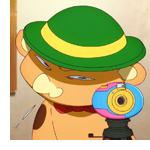 Same animation studio, same original writer and creator (Shoji Gatoh). Jokes about him being a rip-off abound! 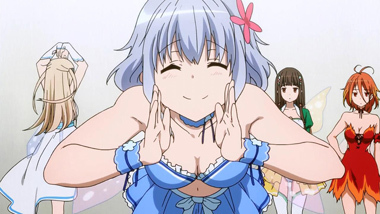 If you wanted more Fumoffu, this might be the next best thing. 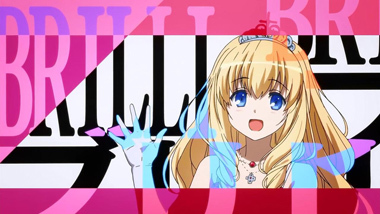 The series is mostly episodic, but the characters continue to grow closer throughout the show. Their main goal is to attract 250,000 visitors before three months' time is up, otherwise the park will be lost to a real estate agency (yes, a very specific number and goal). The park also helps keep the magical villagers "alive," so there's a little more on the line than just profit. Despite that, you don't quite feel the pressure... yet. 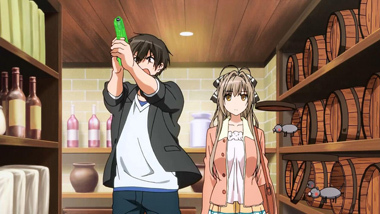 The humor and character relationships are the main draw here, and thankfully Amagi usually hits homeruns each episode. Much of the humor comes from the various mascot characters, as their cute and cuddly appearances are juxtaposed against their rough and crude behavior. Their quips about murder or their dislike for certain park guests are pretty funny, particularly when Kanie is there to play off them. 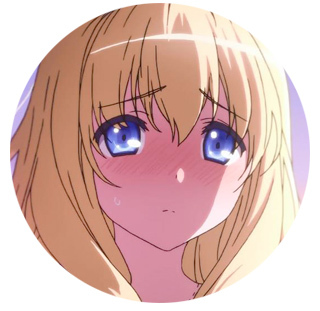 KyoAni loves their collection of expressive faces, and those are on display aplenty! 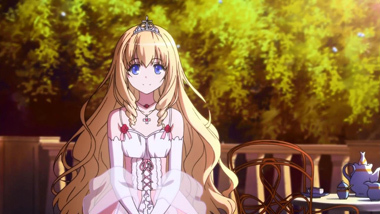 Especially well-done are the overall episode story arcs, such as one in which the lead characters venture into an old attraction that now appears to be inhabited by monsters and a huge dragon — who turns out to be a big softie. There are some jokes and references to other shows too, if you're watching for them. The obligatory fanservice you've come to expect also rears its head here, particularly in episode 3. Occasionally the show aims for a dirty joke but then subverts your expectation, such as in the "AV" segment of episode 6, which is appreciated. Given that this is a KyoAni show, you might have certain expectations for how good it should look. 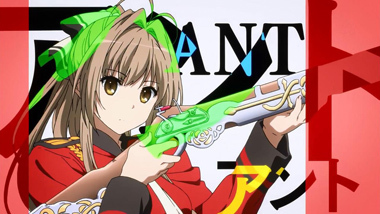 Amagi never quite blows you away, but does do a consistent job satisfying them. The best moments are the goofy faces, but the park's several performances look nice too, as well as the fights between Kanie and Moffle. We especially liked the dragon in episode 5, as he changed from menacing to lovable. 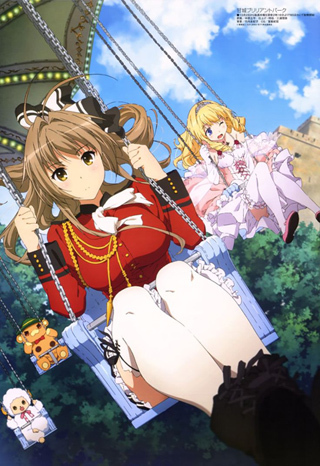 Amagi Brilliant Park sounds a bit ordinary on its face, but does enough with the premise to make something fairly entertaining. 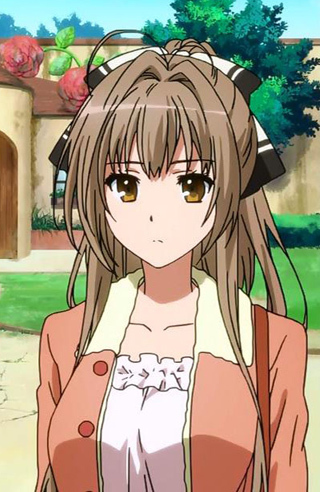 It's not KyoAni's funniest show or its prettiest, but Amagi takes the characters and makes them engaging enough to get to the humor. When it lands the jokes, it does it very well. 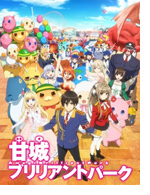 Amagi Brilliant Park isn't always brilliant, but it is a funny, enjoyable, and colorful series. Don't pass it up if you want a light-hearted show this season! 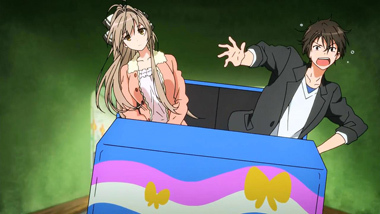 Below: Scenes from Amagi Brilliant Park. 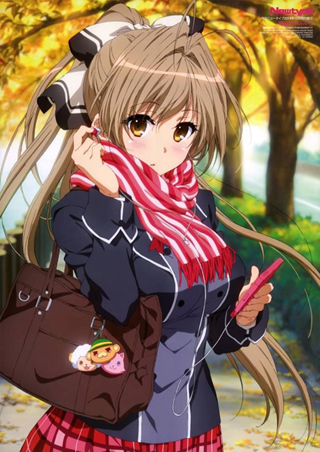 Below: Posters and scenes from Amagi Brilliant Park.